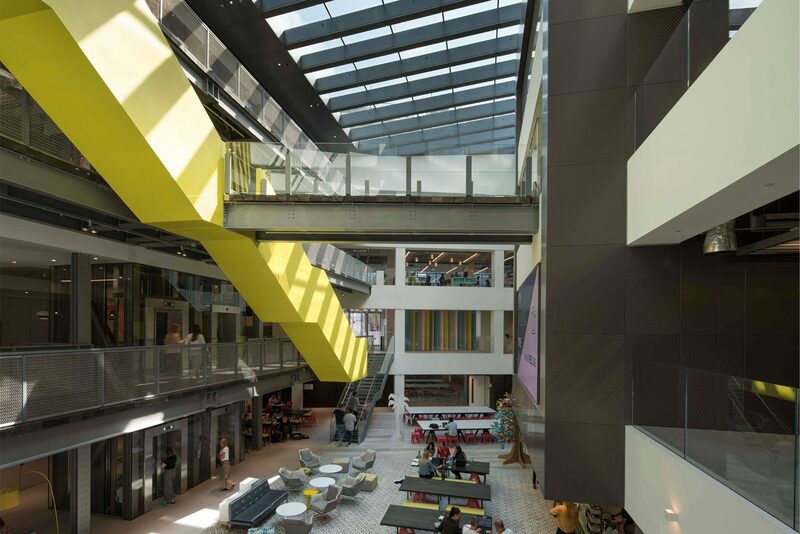 The design features a bold architectural intervention in the heart of the building carving out a 175,000 cubic ft atrium through four storeys, uniting the building and bringing natural light to Primark House. 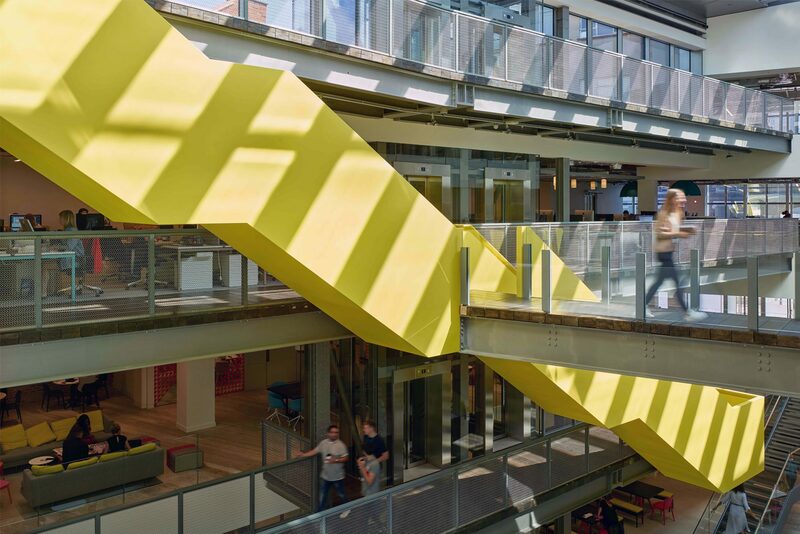 A vibrant yellow staircase connects the upper floors and radiates throughout, with a suspended walkway crossing the atrium and glazed scenic lifts further enhancing connectivity. Designed with wellbeing in mind, MoreySmith has created a collaborative work environment with auditoria, creative studios, a business lounge for suppliers and partners, gyms, wellness areas and a cafe. 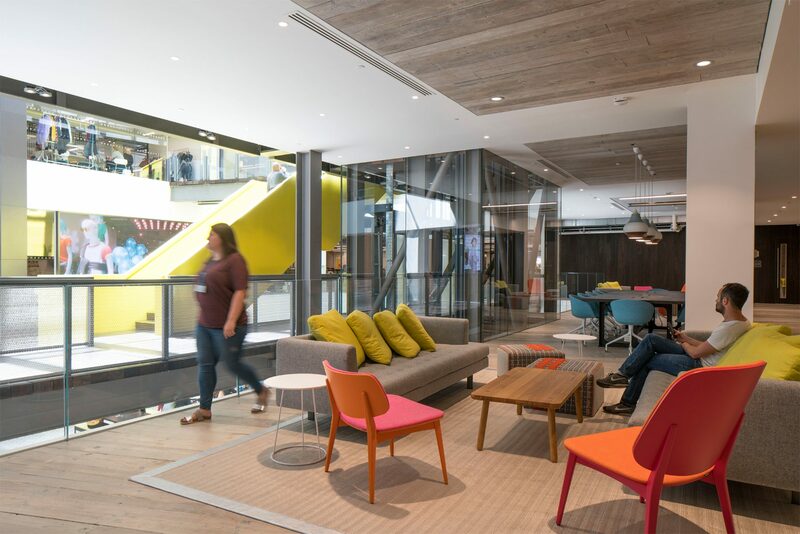 This high-quality refurbishment was driven by Primark’s desire to create an outstanding office which facilitates health and happiness to attract and retain talent.